As the exclusive wholesale distributor of adidas® apparel, hats and bags, we are excited to bring you new 2019 styles – now in stock! Our factory and adidas® have been working diligently to bring you styles and colors that align with what you see at retail. 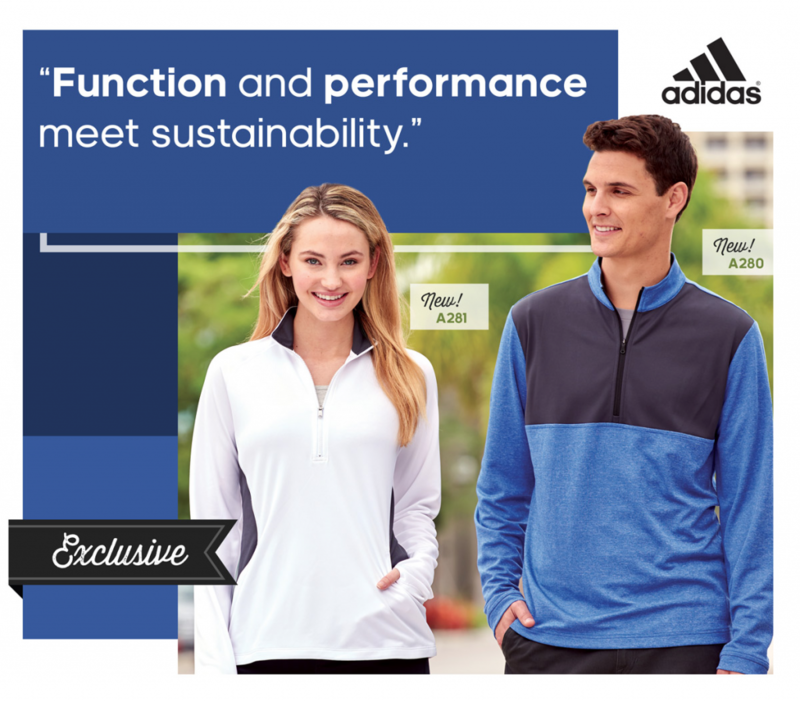 adidas® is a driven innovator, with the environment in mind. Their goal is to bring you sustainable products without forfeiting function or performance. Click on image to look at the new adidas Exclusives line.